In the fall of 1941 (September 19) the invading German army occupied the capital of Ukraine Kiev. Ten days later, on September 29 they rounded up most of the city's Jews, led them out of town, made them strip naked, and murdered them all. 34000 Jewish men, women and children perished that day. 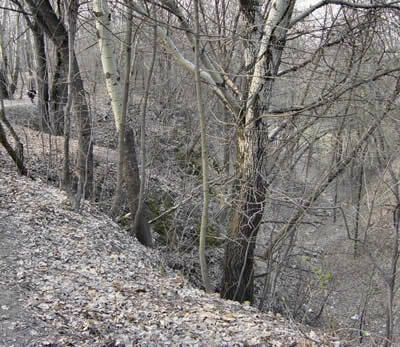 They were stacked up layer upon layer at the place of execution- a ravine called "Babi Yar". It was the biggest mass killing perpetrated by the Nazis and their collaborators. For decades Soviet authorities refused even to acknowledge the Jewish identity of the victims. The code of silence was broken only in 1961 with the publication of a poem by renowned Russian poet Yevgeny Yevtushenko. It was named simply "Babi Yar". The poem immediately became controversial, because it not only exposed the Nazi atrocities, but also the callousness of Russian government and still prevailing antisemitism in the Soviet Union of 1961. Below is my feeble attempt at translation of this great work as a commemorative piece for the approaching anniversary of one of the most horrific symbols of Jewish suffering in the Holocaust. Let us embrace, and let us say "Goodbye"
And that is why I am a real Russian.